If you’re working on a theme or a plugin for WordPress and you want to highlight an active submenu item, then your implementation is going to vary based on where you want to highlight the actual item. An overexaggerated menu to help drive this point home. Or are you working to highlight an active submenu on the front-end of the theme? There’s no consistent way to do this. For what it’s worth, I don’t think they should be as they are two completely different entities (for lack of a better term). Perhaps having some semi-consistent filter names would be nice, but that’s about it. Regardless, when you set out to highlight an active submenu item, it’s important to note which part of the project you’re working on and then go from there. 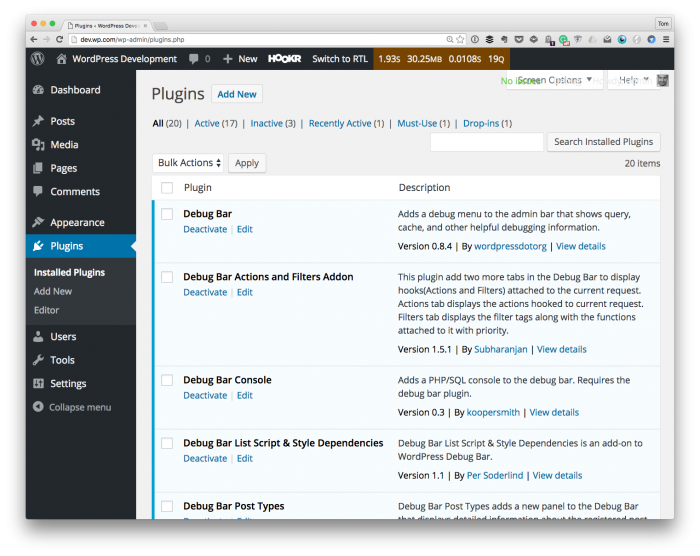 And if you want to highlight an active submenu item for either of these, you’ll need to know how the menu system is set up and how WordPress organizes it. If you want to highlight an active submenu item in the back-end, there is a filter that’s available, but it’s not well-documented. Still, I prefer using filters over any client-side solution because they are faster and it doesn’t matter if certain browser features are present. Though this may not be the case, it helps to provide a complete example (or something that may be even more of an edge case of a unique implementation). Though your implementation may vary a bit, but the steps are still the same. Namely, you’re using add_submenu_page and you’re specifying a URL that you’ve built yourself. At this point, you can use the parent_file filter, inspect the slug, and then return data based on the result. Note that when doing this, we’re inspecting the URL based on how we specified it when we created the menu in the code above. There’s little about this filter in the Developer Reference, but it may be worth bookmarking to refer to in the future.